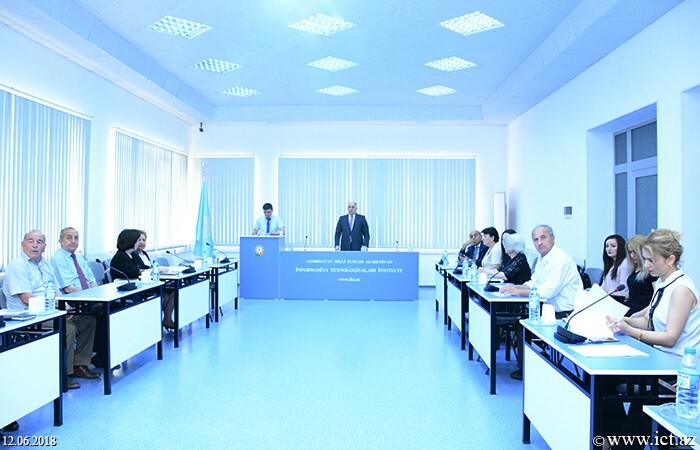 The Institute of Information Technology of ANAS hosted a meeting of the Defense Board for the defense of master's theses. 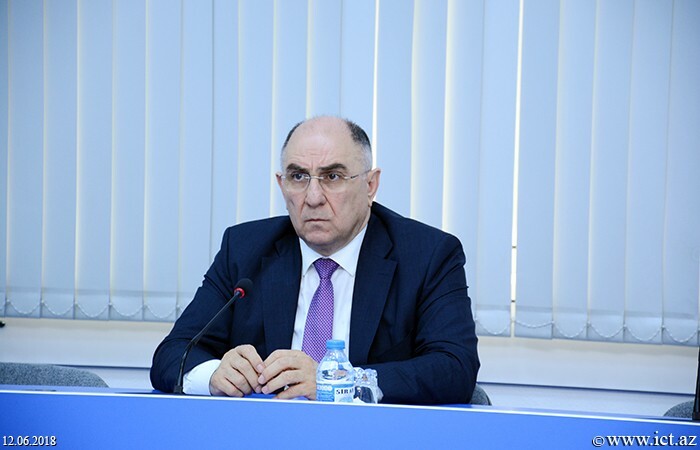 Academician-secretary of ANAS, academician Rasim Alguliev, who opened the event, said that according to the decree of the President of ANAS "On the organization of the dissertation defense of II-year master’s student of the ANAS" on April 10, 2018, a specialized Defense Council has been set up for defense of masters' theses of graduates accepted to master’s degree of Institute of Information Technology on "Computer Systems and Networks Software", "Computer Engineering", "Information Security and Security" specialties and Institute of Control Systems on the specialty "Management of Information Technologies" in the 2016/2017 academic year. 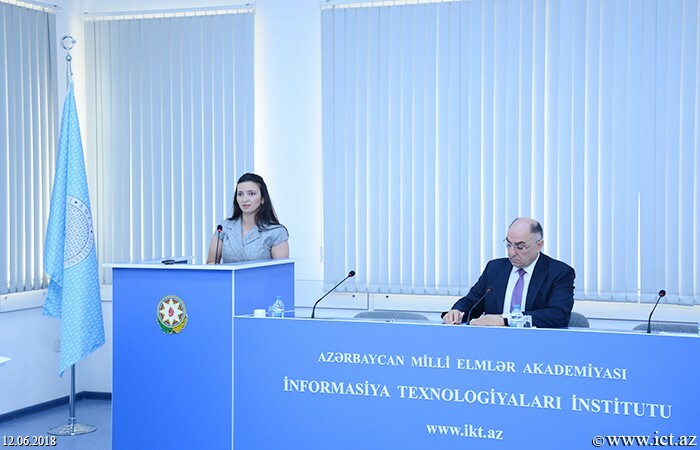 Then Lamiya Najafova, master’s student of Institute of Control Systems (ICS), presented a thesis on "Algorithm and software development for identification of texts in Azerbaijani language" on specialization 249153 - "Management of Information Technologies ". 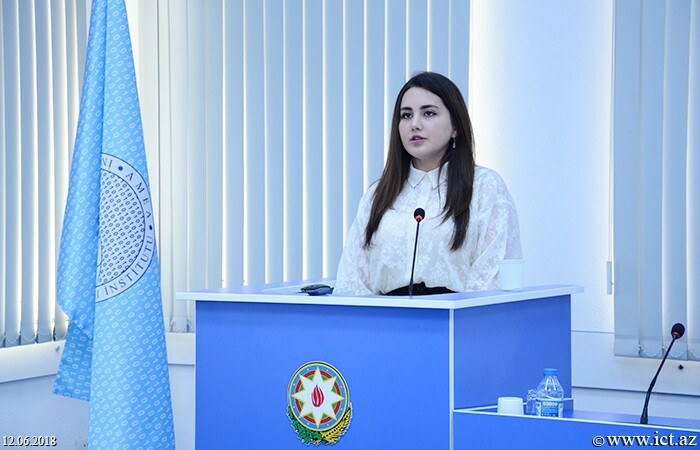 She said that the purpose of the research was to investigate the various aspects of the texts' writing style for identification of texts written in the Azerbaijani language, to prepare software for them based on several indicators, and to propose algorithms for the recognition of authors. According to the speaker, the author of authentication of texts is one of the important issues in determining the author of unknown texts. 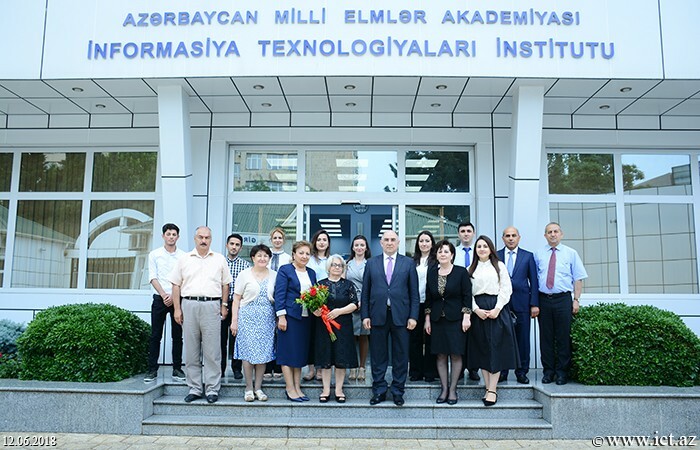 She noted that in the thesis the software was developed in the "C sharp" programming language for various statistical analyzes, and the recognition of the texts was done in ‘’Matlab’’ mathematical software package. 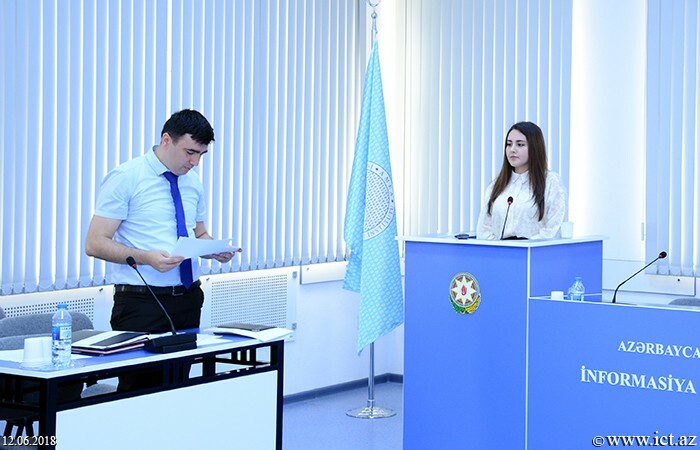 Later on, Master’s student Institute of Information Technology Shalala Mansurova presented a thesis on the theme "Investigation of effective organization of cloud services in computer networks" on 249161 - "Software of computer systems and networks" specialty. 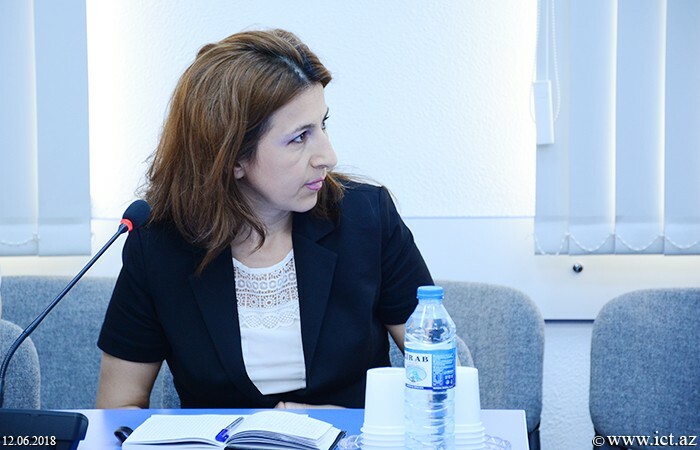 She informed about the purpose, the relevance of the case, the issues raised, and so on. 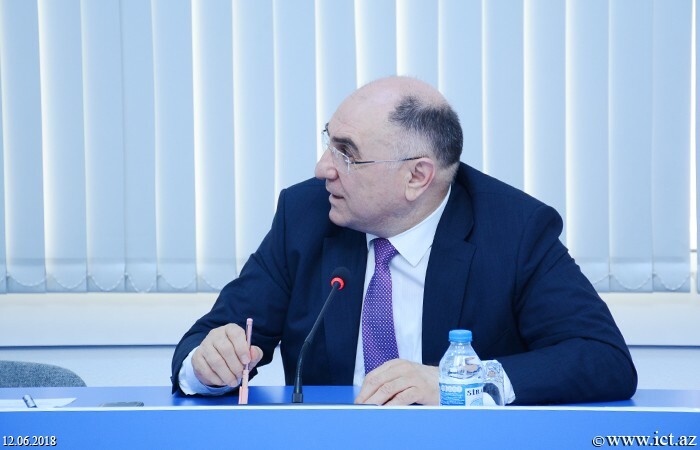 The purpose of the study was to investigate the efficiency of existing services through cloud technologies in computer networks, to improve the efficiency of infrastructure services based on the proposed model, Sh. Mansurova noted. In the thesis, the majority of the criteria for the evaluation of cloud models were identified, and the fuzzy multi-criteria assessment of cloud model security was performed through the multiplicative aggregation method based on the criteria selected, quality signs were used for evaluation of cloud service models and methods of evaluation based on specific quality indicators were given. 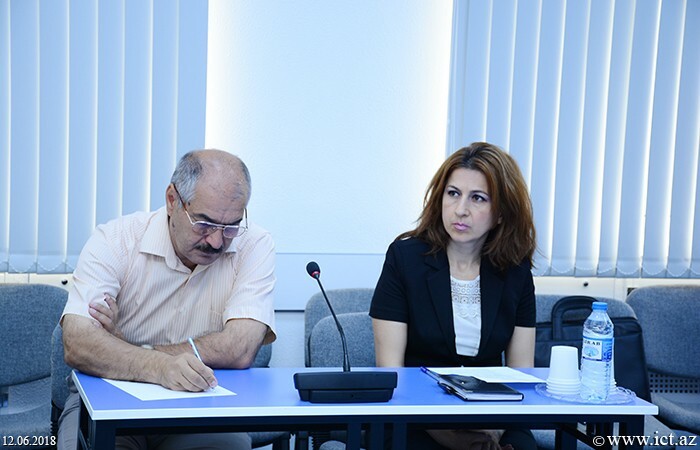 Nigar Izizadeh, a master’s student from the Institute of Control Systems, presented a thesis on the theme "Development of intellectual information technologies for diagnostics of hydroelectric power plants (Mingachevir hydroelectric power station (SES))" on specialization "Management Information Technologies". The modeling of the Elman network with a persistent-based recurrent architecture in the processing of time series for the implementation of intellectual diagnostics and the modeling of selected modification of the Elman's network with the chosen teaching algorithm, as well as the modeling of the expert knowledge on the object of research and fuzzy production rules, The development of a fuzzy extraction system for the Soft Computing model characterizes the scientific refinement of the work, she noted. 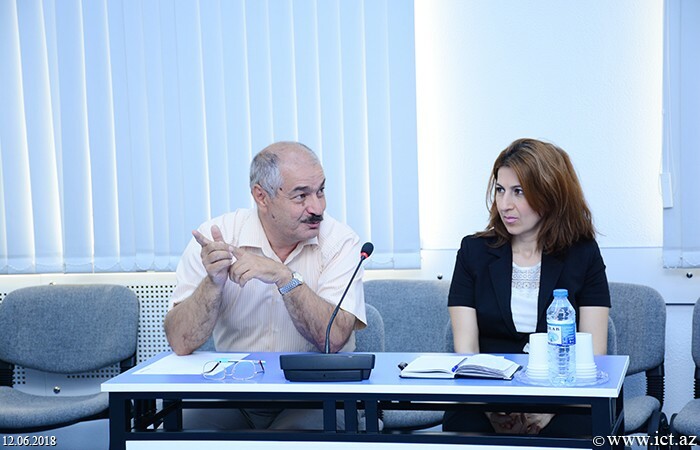 A database on the MS Access system was developed based on the signals collected from the transmitters installed on the K-300-240-3 turbine, one of the main hydropower stations in Mingachevir, A "Elman" network was established in ‘’Matlab’’ mathematical software package for data processing, she noted. 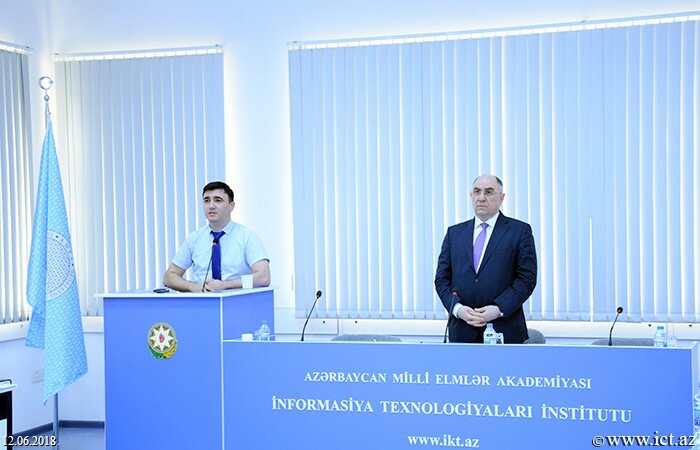 Then, Master’s student of the Institute of Information Technology Jabir Amirkhanli presented a dissertation thesis entitled “Analysis and evaluation of advanced models of e-government” on 249178 – “Computer Engineering” specialization. 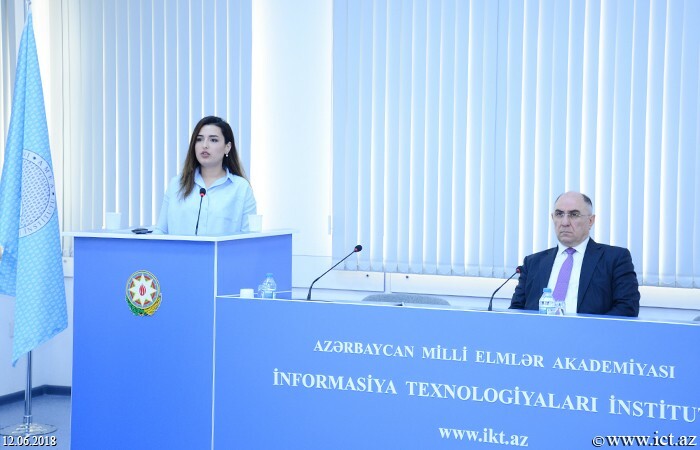 Speaking of the relevance of the work, the reporter said that e-government transforms government processes by using ICT tools and provides its clients (citizens, businesses and other government agencies) with information, knowledge and services. 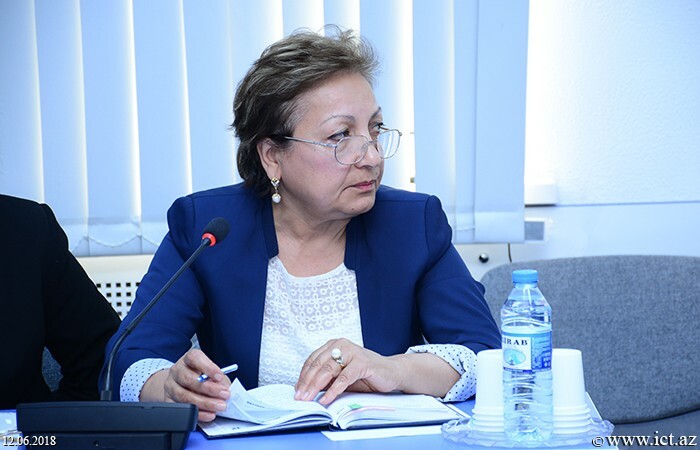 E-government utilizes ICT tools such as the Internet, mobile computing and cloud technologies to radically change government-related processes to improve the quality of services and develop democracy. 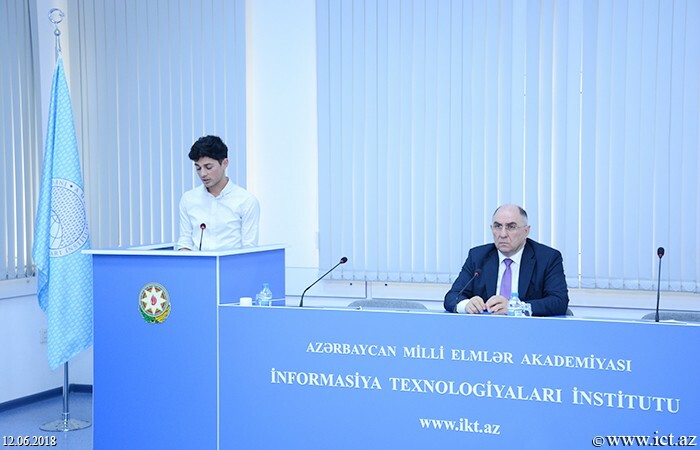 J. Amirkhanli noted the objectives of the dissertation work, said that the goal is to compare and evaluate the advanced models of e-government offered by a number of organizations and researchers. 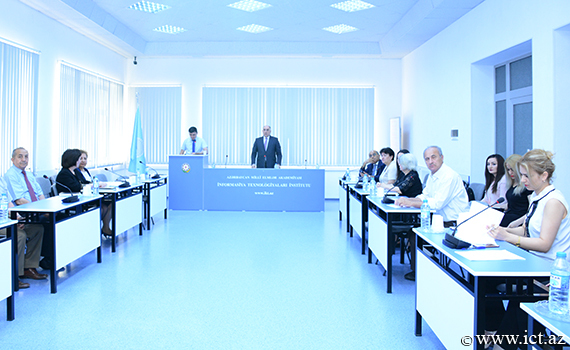 He presented the results obtained in the dissertation. He underlined that here the comparative analysis of e-government models in terms of a number of aspects, the drawbacks of the models, the common and distinct features, the analysis of the approaches to the evaluation of advanced models, and the criteria that are identified, as well as the "Worst case" approach and an evaluation of advanced model of the e-government based on “TOPSIS” method were varied out. 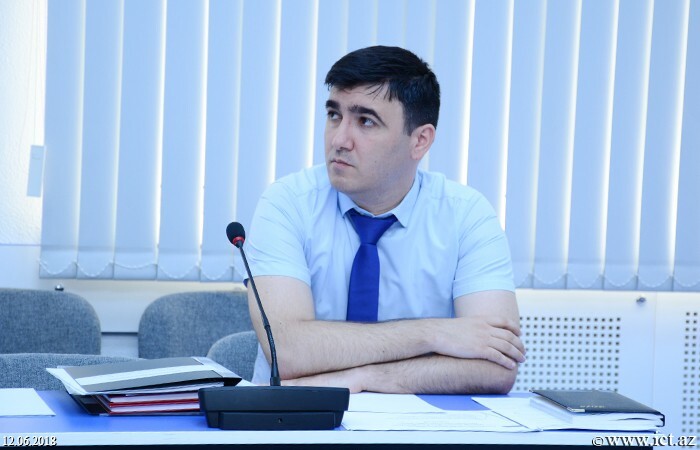 Master’s student of the Institute of Information Technology Elshan Bagirov presented a dissertation entitled "Methods for managing information security incidents" on 249186 - "Information Protection and Security" specialization. He said that the dissertation work consisted of 75 pages, introduction, three chapters, results, supplements and a list of literature. 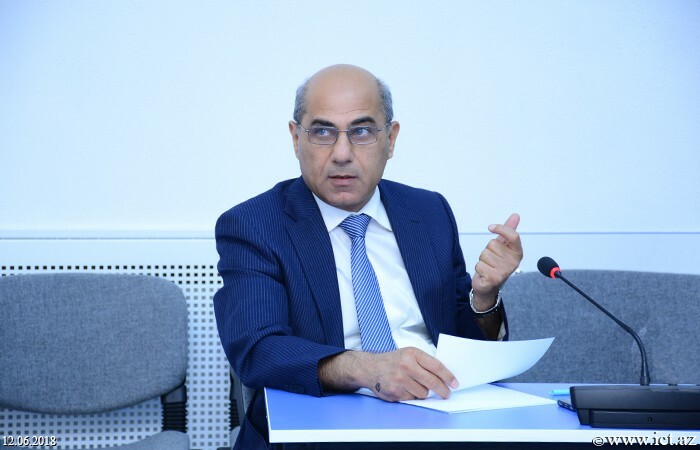 He noted that effective and efficient management of information security incidents (ISI) plays an important role in ensuring the continuity of business processes. 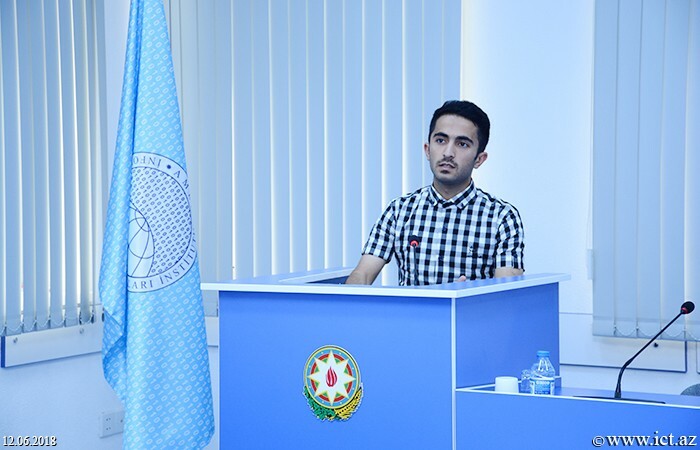 The speaker underlined that the main purpose of the dissertation is the development of approaches and proposals for the rapid and effective management of information security incidents. E.Bagirov presented the results obtained in the dissertation work. 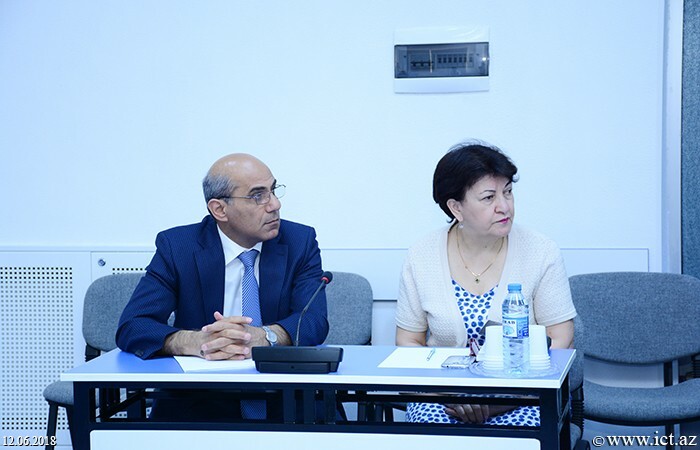 In the course of the research, components of information systems for the management of ISI and software vulnerabilities for preventing ISI were analyzed. 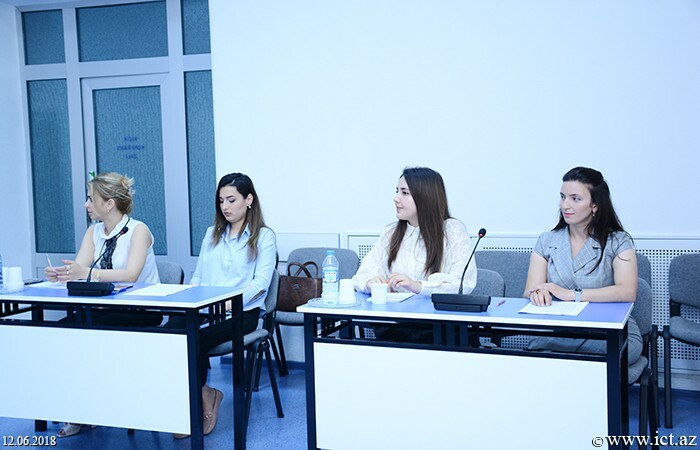 Discussion was held after presentation of dissertation works. 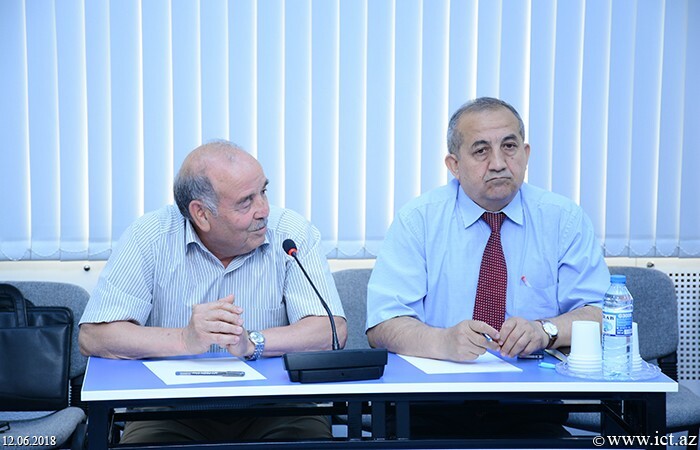 Academician Rasim Alguliev, head of the department, corresponding member of ANAS, professor Masuma Mammadova, head of the department, corresponding member of ANAS Ramiz Aliguliyev, head of the department, PhD in technical sciences, associate professor Yadigar Imamverdiyev, chief scientific worker of the institute, PhD, associate professor Zarifa Jabrayilova, leading scientific worker of the institute, PhD in technical sciences Fargana Abdullayeva, doctor of technical sciences Abbas Rzayev and PhD on mathematics, associate professor Adalat Pashayev delivered their questions, proposals and recommendations. 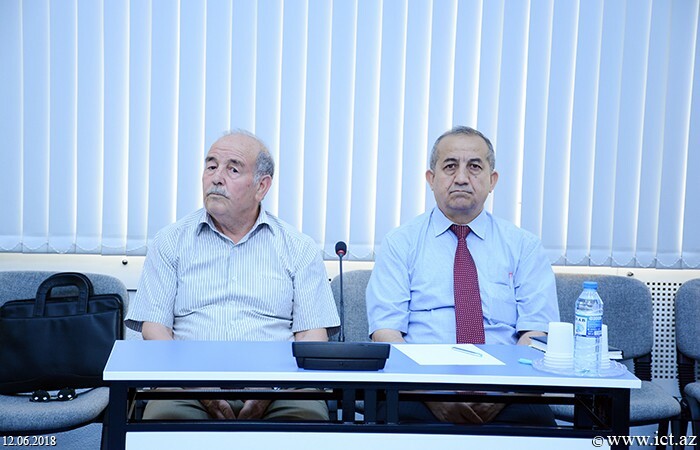 Then head of Education Department, PhD, associate professor Farhad Yusifov, said reviews on the dissertation work of L.Najafova (official reviewer: Ph.D. in Physical and Mathematical Sciences Sakhavat Talibov, scientific supervisor: Corresponding member of ANAS Kamil Aydazadeh) Sh. 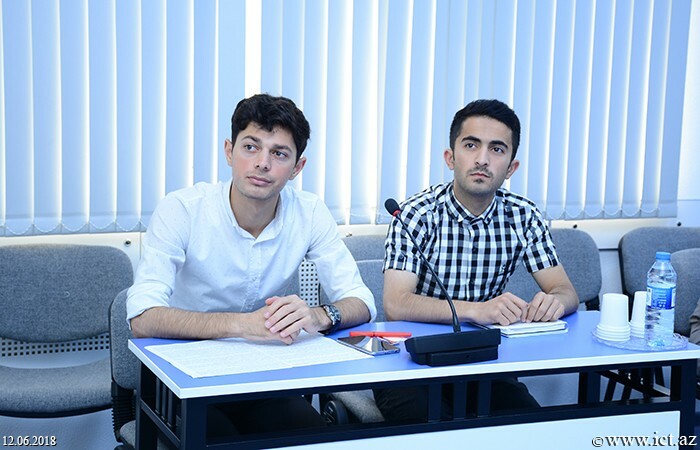 Mansurova,( official reviewer: PhD Mammad Hashimov, scientific supervisor: corresponding member of ANAS Ramiz Aliguliyev), N.Alishzadeh (official reviewer: Doctor of technical sciences Fahrad Pashayev,scientific supervisor: Ph.D., Associate Professor Gulchin Abdullayeva), C.Amirkhanli (official reviewer: PhD Rena Gasimova, PhD, associate professor Farhad Yusifov) and E.Bagirov (official reviewer:PhD, associate professor Ramiz Shikhaliyev, scientific supervisor: Yadigar Imamverdiyev). After the dissertation discussions, an open voting was held, an assessment was made for each case. 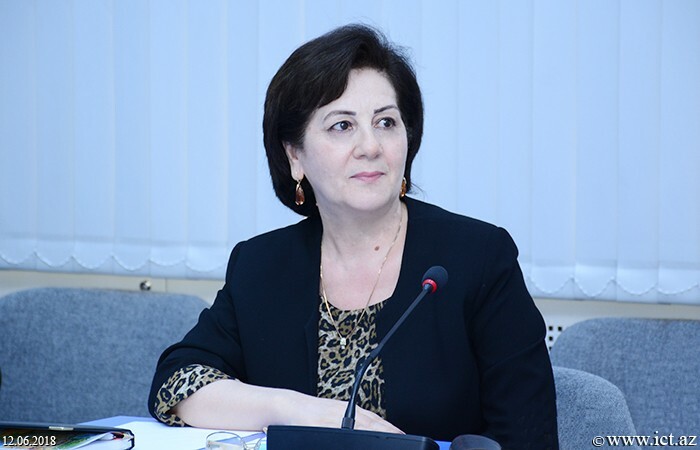 According to the results of the assessment, it was decided to grant Master's degree to L. Najafova, Sh. 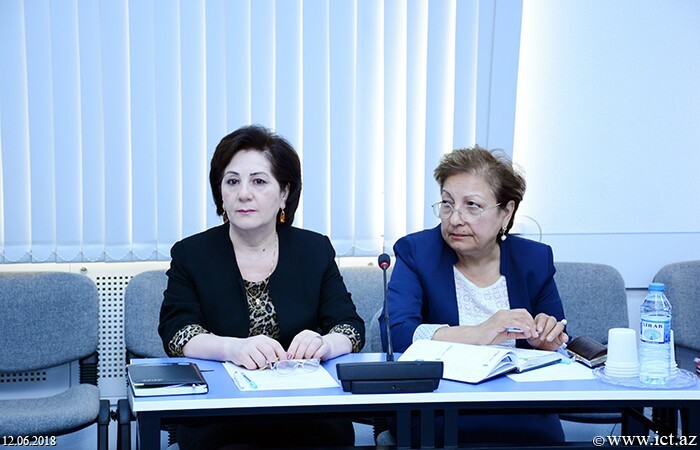 Mansurova, N.Alishzadeh, J.Amirxanli and E.Bagirov. 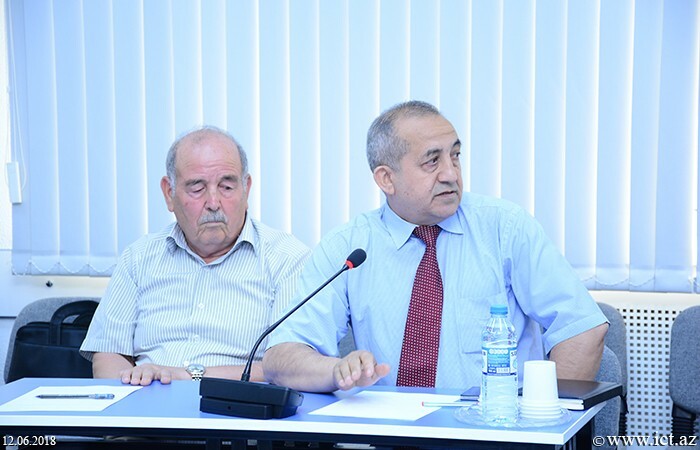 At the end, academician Rasim Alguliev expressed his gratitude to the scientific directors who supported the dissertation work. 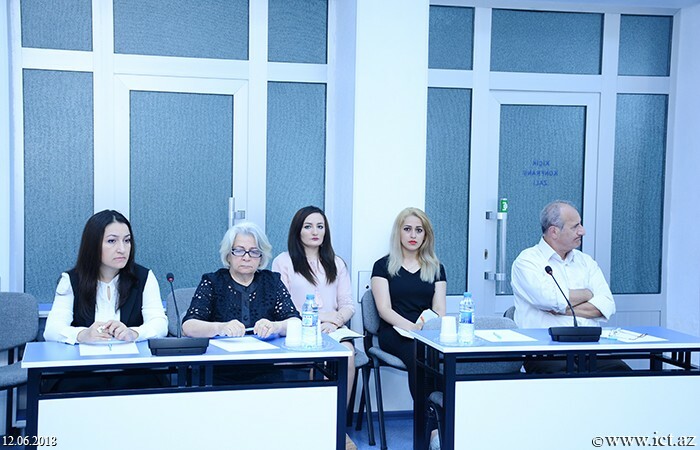 The scientist highly appreciated the theoretical and practical training of master’s students and encouraged young researchers to continue their scientific activities in the future.